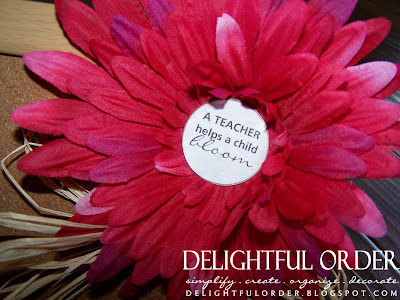 I've already shared my teacher appreciation flower pen gift idea. 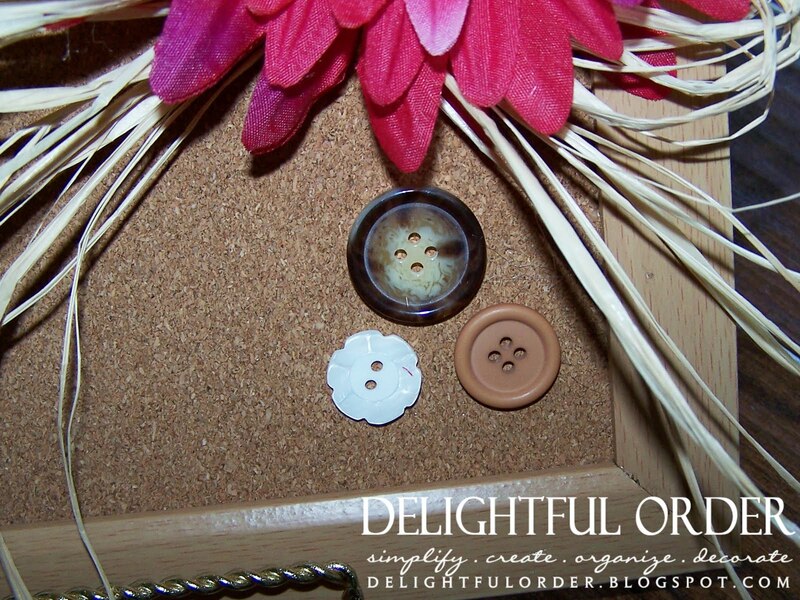 It's a simple cork board cutesified! 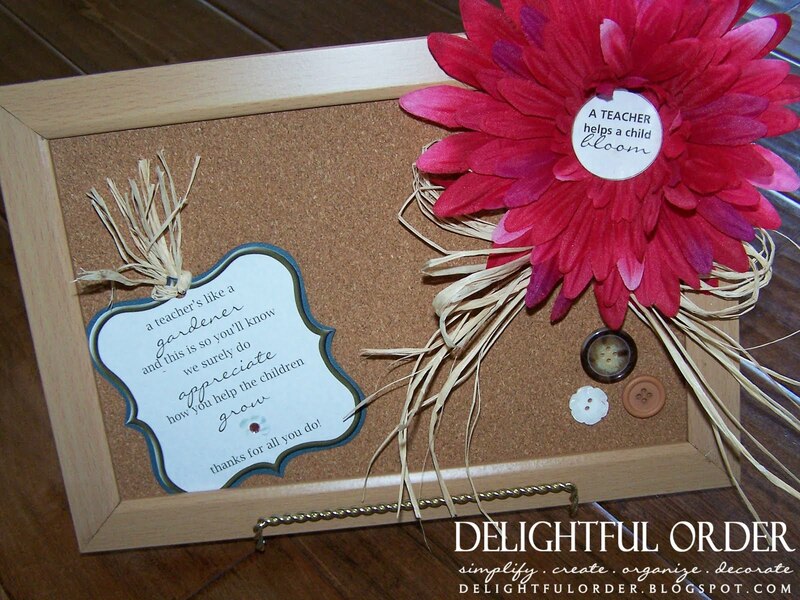 The cork board, the stand and the flower is from the dollar tree. 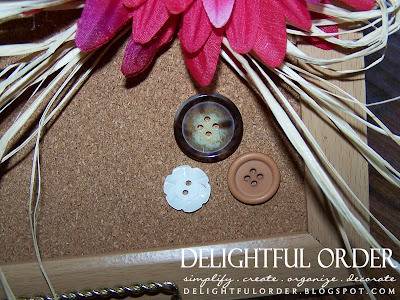 I hot-glued the flower, raffia ribbon and a few buttons onto the cork board. Using one of the FREE printable circle tags that I created, I added to the center of the flower to personalize the gift a little. View the How-To and get the FREE printable HERE. If you have a photo of your child and their teacher together, it would be cute to add it to the board too. There you have it, another simple, inexpensive, personalized teacher appreciation gift idea. Blessed Monday to you all! I appreciate the idea. What a cute theme. Teachers get a lot of gifts. This is so useful. I enjoy your blog. You are an inspiration.